Privess Elite Premium Privacy Screen is a premium folding privacy screen designed for users with style and functionality in mind. 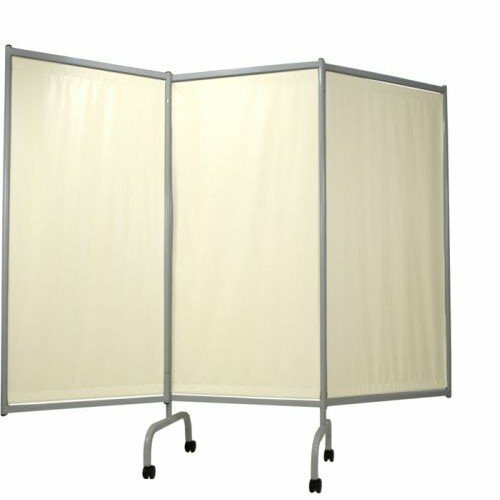 If you're searching for portable partitions that are attractive, decor-matched, stable, fixed or portable, look no farther than this convenient folding privacy screen. Privess Elite Premium Privacy Screen contains portable partitions with significantly upgraded durability and flexibility, unlike the imported and unstable lightweight construction of other screens containing only a thin sheet of vinyl. This high-end designer product makes a quality addition to healthcare institutions, surgery centers, physician offices, resort-style spas and even retail settings where stylish substantial privacy screens are desired! 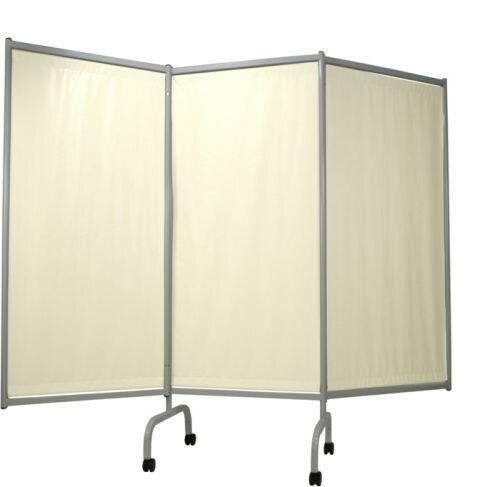 You might also be interested in similar folding privacy screens that we carry, such as PVC Portable Privacy Screen. Quality designer grade vinyl colors to enhance any decor. Casters for mobility or crutch tips for stationary use. Powder-coated steel frame for durability. Smooth panels for easy cleaning. Standard crutch tips and casters included. Recommended for environments where portability is critical and where wheels are needed.